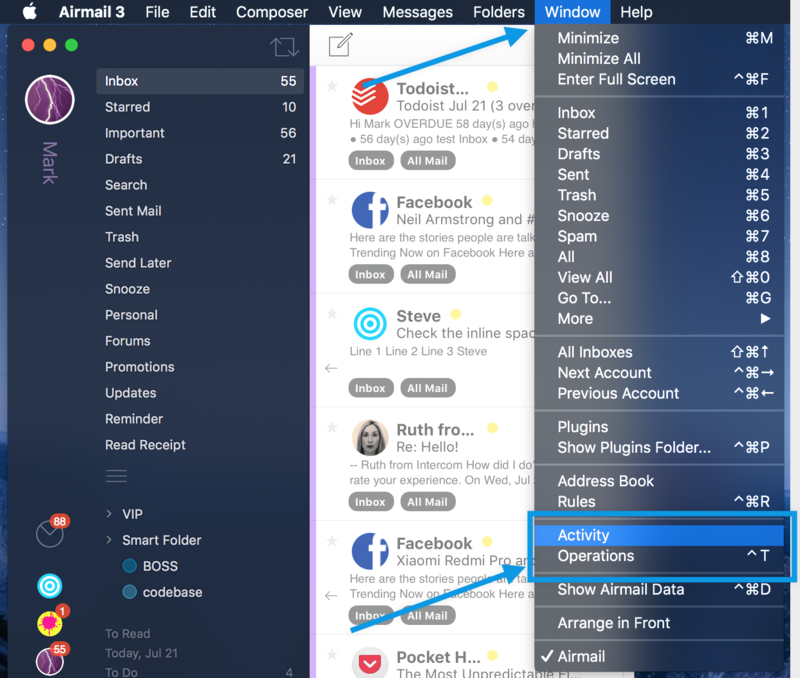 connection, can affect Airmail’s ability to connect to your mail server. outside the control of Airmail. Internet Security/Anti-Virus software can block ports that are needed to connect to mail servers. affect the Airmail’s ability to function properly. it and see if that fixed your internet connection. The Activity window allows you to see which activity is taking place and if accounts are connected or not. Click on Window Menu in the Menu Bar and Select Activity. can also be reverted here.